The finished job. Now to source some garden furniture to really set the mood. 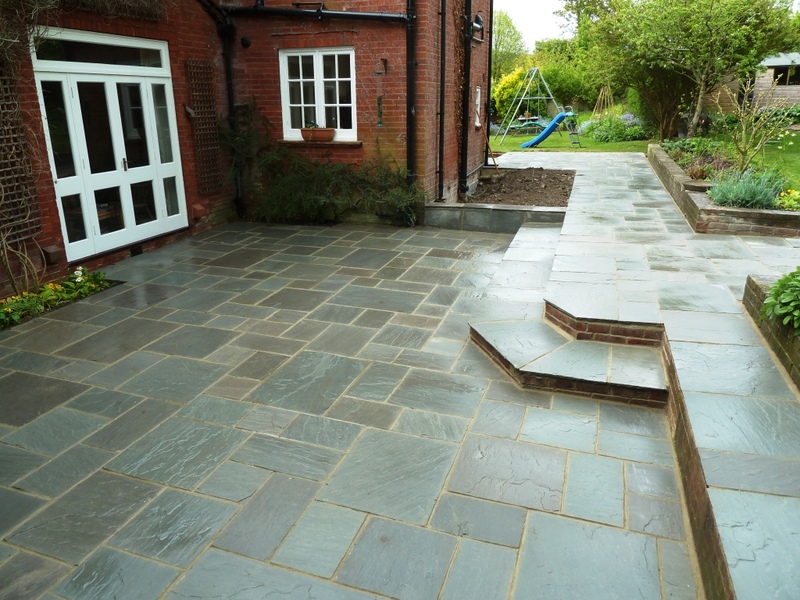 Brief: Our client had installed their own patio many years ago and after so long they wanted to revamp their garden in time for a visit from relatives from Australia. We set to works by removing all the old patio and preparing the ground for the sub base to be laid onto. The issue of drainage was resolved with the use of aqua cells and a good fall to the stair case and paving. When we cleaned off the patio after pointing the water ran off perfectly leaving no standing water anywhere on the patio. The whole project was 99M2 and was completed in just over a week. We had some terrible weather throughout the works but luckily we finished the project with 3 days spare before the arrival of the guests. Our clients were able to entertain their guests on the new patio. We could not guarantee the weather though…it rained solidly for a week after we finished the build!! 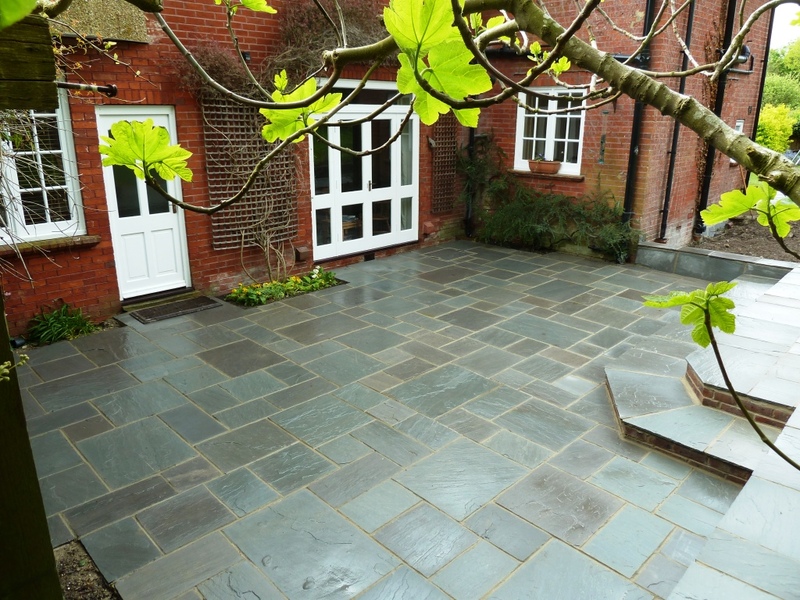 The fairstone paving gave a modern yet sophisticated look to the garden. A contemporary look would not have suited the property nearly as well.